The KIA Sedona is a word-class minivan that offers impressive value at a low price. We can see a 15 years evolution on this minivan, starting with the 2002 model all the way to the new 2019 model. The Sedona keeps getting better and providing more value. The Sedona is a beautiful luxury minivan that looks like a private jet on wheels. For many car drivers the concept of a minivan sounds like a boring car, but if you take the time to test drive a great minivan like the Sedona, you will start to appreciate all the large interior space, great features, great audio and multimedia and beautiful design. Besides a limo, a minivan is the only car where you can walk inside from the second to the third row of seats, there is just so much space! New modernized exterior makes this minivan look absolutely stunning. It is not any longer just a typical van for big families. Now a minivan is a cool large automobile for those on need of interior space. Are you ready for your next field trip? or to rock with your musician friends? need to shoot a video? even your pet will love so much space inside, the Sedona can be your best friend on your next project. Kia is not one of the first players on the minivan automobile market. Brands like Chrysler, Dodge, Ford, Chevrolet, Honda and Toyota started to produce minivans for the North American market way before the year 2000. Kia entered the market late, back in 2002, but with firm steps by producing a great minivan like the Kia Sedona. The Sedona is a very good competitor against successful older minivan models like Chrisler, Dodge Grand Caravan, Honda Odyssey and the Toyota Sienna. KIA is a revolutionary car maker, growing up rapidly in the US. The Sedona is one more example on how Kia is taking over a big portion of the automobile market. 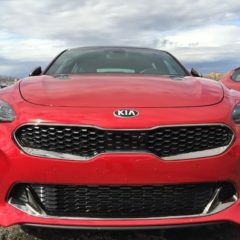 Kia started as one more foreign automaker that initially was seen by many as a second class manufacturer, but today Kia has become a premium brand in the U.S., with amazing warranty, great quality, providing more features standard than most automakers. KIA has increased US production and US operations, and for many now KIA is perceived as an American manufacturer, especially due to its large presence and marketing in North America. Kia entered the minivan market with the all-new Sedona. It was the most features and amenity-rich minivan yet the lowest priced van in the country during 2002. This was the first generation of the KIA Sedona in the U.S., however it was previously introduced to other international markets. Kia offers a luxury minivan with a wide range of perks, a great price range for all budgets, and a long 100,000-mile warranty. As the Sedona evolution goes, there were minor changes to the 2003 Sedona, including new tail lamps, remote fuel door release and other minor interior and exterior changes. In 2004, Kia revamped the front grille, added alloy wheels to the EX trim and made a few changes to other trim levels. In 2005, larger drum brakes were integrated across all trims, and second-row captain’s chairs were added to the LX trim. During 2006, a major change, a completely redesigned Sedona, the second generation, offering a more powerful 3.8-liter V6 engine producing 244 horsepower, offered better seating and several new features and options. For the model years 2007 and 2008, no major changes were made, then in 2009, Kia added optional GPS and made USB and MP3 integration standard. During 2010 Sedona, the Sedona started to get smarter and safer, it offered a backup camera in the EX trim and parking sensors were added to the LX and EX trims. The 2011 Sedona brought a minor styling redesign, and a more compact 3.5-liter engine that got better fuel economy, providing more mileage for less price. Kia made no significant changes for model years 2012-2014. The 2015 is a major remake of the Sedona that still continues with the same line until today in 2019. It started to become more luxury and appealing. This new Sedona was completely different from its predecessor. The platform, sheet metal, interior, and power train are all new. At 201.4 inches, the minivan’s overall length has shrunk by 0.6 inch, on a wheelbase that’s stretched 1.6 inches. The Sedona’s width didn’t change, and the roof now nestles 0.8-inch closer to the pavement. In addition to structural improvements, KIA’s development team also invested time and materials in sound isolation, making the cabin much more quiet from outside noise. The 2016 Kia Sedona minivan offers plenty of upscale style and features while retaining Kia’s traditional value pricing. For the 2016 Sedona, all models get a standard rearview camera. The Sedona EX now has heated front seats, and SX and SXL trims get seating for eight with the optional Technology package. Kia is the sister brand of Hyundai, and offers a similarly wide range of well-built family cars that are competitively priced and include an amazing long warranty. That is one of the reasons why Korean cars are so valued and desirable all over the world. 2017 KIA Sedona was made for those who need more space. It is perfect for big families, even if your Sedona has a full load, the passengers still have a very comfortable internal space. The 2018 model doesn’t have significant changes versus the previous 2017 model. 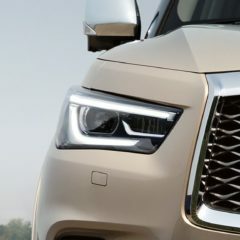 Minor changes include exterior color changes: Silky Silver replaces Bright Silver; Celestial Blue replaces Midnight Sapphire; Beachwood Pearl is deleted. The 2018 Kia Sedona is a complete carry-over of the successful 2015 model. The award-winning minivan continues to grow into the minivan automobile market. As I test drive the 2018 model I enjoy so much interior space, and I love that my children and friends enjoy the ride so much, the interior of the Sedona is one of the most comfortable ever. As a driver the front has great view of the front and sides of the road, the digital cockpit makes it easier to drive the Sedona. Audio, multimedia are of great quality. The second row is so comfortable. Beautiful leather seats that expand in the lower front. Passengers are able to move their seats on the second row back and forward, and to recline the seats until the perfect point. The third row also can be reclined to the desired position. Cargo space is just huge, almost as big as the bed of a small pick up truck. When you drive this minivan you get a little bit of every other car, part of the features of a sedan, an SUV, a pickup truck, all merged into a luxury Sedona minivan. Starting from $27,000 with the Sedona L, all the way to $42,000 for the Sedona SX Limited. The new 2018 Sedona includes 8-speed automatic transmission to provide a seamless driving experience and increased fuel efficiency. The new available Rear Entertainment System (RSE) with smartphone mirroring so everybody can view images from their phone on the Sedona’s entertainment system. The price range for the 2019 Sedona starts at $27,200 for the L model, going all the way to $41,100 for the top of the line, the 2019 Sedona SX. No more SXL, now in 2019 the SX is the top of the line and it is $4,100 more expensive than the 2018 SX, the new 2019 SX costs $41,100. MSRP. The KIA Sedona has become a great every day car for those who work at the office and need lots of space for carrying the gym bag, yoga, snacks, laptops, music instruments, umbrella, extra clothes for the kids, strollers, and all other stuff usually doesn’t fit on a regular car. Priced from $27,000 up to $41,000 it gives you more value than most other automobiles. The KIA Sedona is almost like your own mini-apartment on wheels, bring all the family and friends onboard, and bring all those accessories you may need on the road or at your destination. Most SUVs or other minivans don’t have so much optimized cargo and internal space like the Sedona. Another advantage of the Sedona is that it is a very easy car to drive, to maneuver. It rides smooth, quiet and with enough horse power for any highway or regular road. The Sedona can easily meet all requirements. no matter who is its owner. Certainly it is the best choice for housewives who take their kids to school, after school lessons, and has an impressively big shopping list to buy at the supermarket but that is not a problem as everything will fit inside the Sedona’s large interior space, but it is also a good choice for a new rockstar.